The Mac Professional Chef's Knife is modeled after the standard French chef's knife which has a slightly curved edge and a fast taper towards the tip. 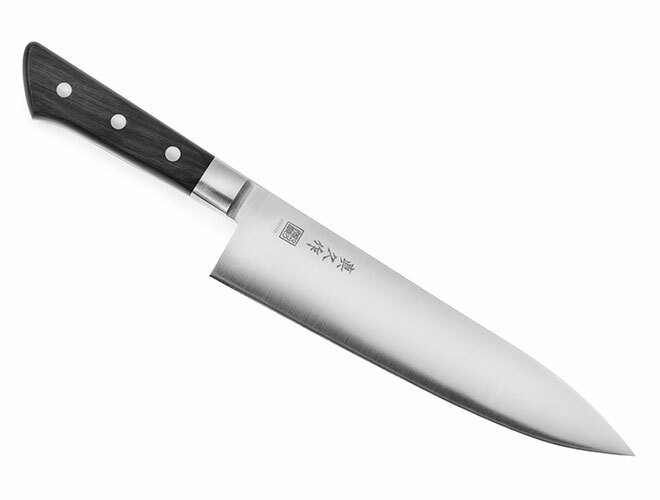 This is compared to a Japanese chef's knife which has a more gradual taper from the heel to the tip. 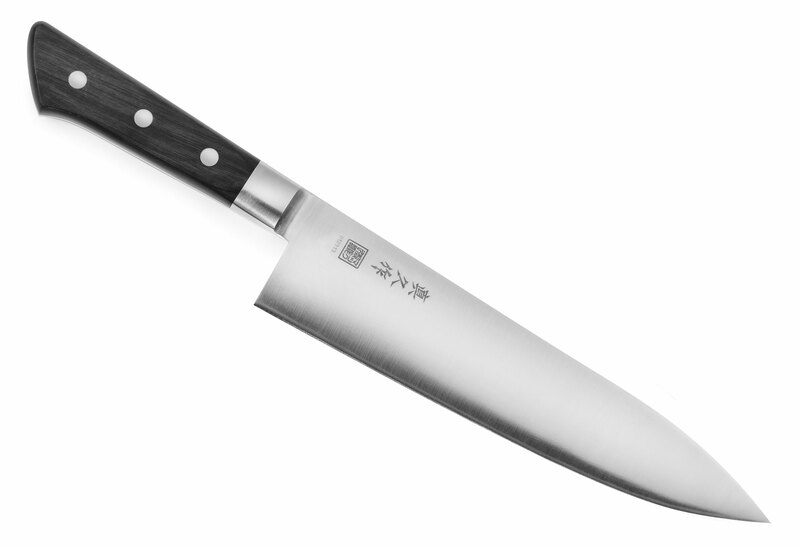 This blade is more common for professional chefs who prefer a medium-sized chef's knife. A multipurpose knife for just about anything you would cut on a cutting board. The weight of the bolster in combination with the blade makes this extremely well balanced in the center of your hand. Cut through most foods using minimal effort. Made in Japan with a 25-year warranty.